All objects, both natural and man-made, emit infrared energy as heat. By detecting very subtle temperature differences of everything in view, infrared (or thermal imaging) technology reveals what otherwise would be invisible to the naked eye. Even in complete darkness and challenging weather conditions, thermal imaging gives users the ability to see the unseen. First developed for military purposes, thermal imaging has since been adopted by law enforcement, fire and rescue teams and security professionals. This technology can be used to detect approaching people or vehicles, to track the footsteps of a fugitive or to learn why a fire resists extinguishment. Most thermal-imaging devices scan at a rate of 30 times per second. They can sense temperatures ranging from -4 degrees Fahrenheit (-20 degrees Celsius) to 3,600 F (2,000 C), and can normally detect changes in temperature of about 0.4 F (0.2 C). Un-cooled - This is the most common type of thermal-imaging device. 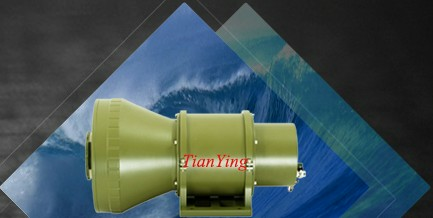 The infrared-detector elements are contained in a unit that operates at room temperature. 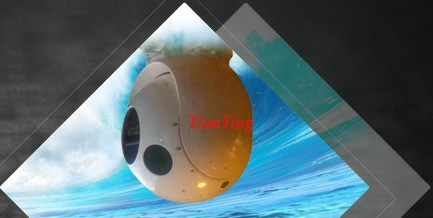 This type of system is completely quiet, activates immediately and has the battery built right in. Cryogenically cooled - More expensive and more susceptible to damage from rugged use, these systems have the elements sealed inside a container that cools them to below 32 F (zero C). 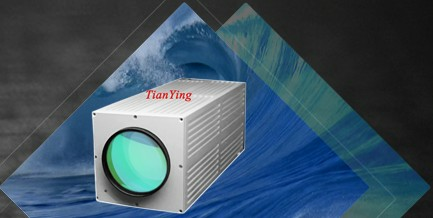 The advantage of such a system is the incredible resolution and sensitivity that result from cooling the elements. Cryogenically-cooled systems can "see" a difference as small as 0.2 F (0.1 C) from more than 1,000 ft (300 m) away, which is enough to tell if a person is holding a gun at that distance! Unlike traditional most night-vision equipment which uses image-enhancement technology, thermal imaging is great for detecting people or working in near-absolute darkness with little or no ambient lighting (i.e. stars, moonlight, etc, ). 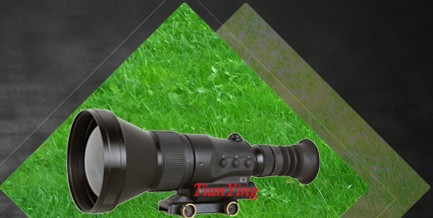 40mk NETD detector with 75mm F1.0 lens, at 600m can clearly see man's two legs; at 850m and 950m can confirm the target,if is person, maybe some supplier called recognition, also can see the image is clear and sharp that can compete with many 640x480 chip detector thermal sight (thermal weapon sight ). 40mk NETD detect with 50mm F1 lens: at 600m person image is a dot, when use for electrice magnification-digital zoom, can find person target. 1).Covertly Finding and Locating Objects Without Visible Light. 2).First Responder Land & Water Search & Rescue Fugitive Pursuit and Apprehension. 3).Officer Safety and Protection . 4).Hot Spot and Disturbed Surface Detection . 8).Provide an incredibly clear picture of the surrounding scene through the use of superior imaging software . 9).Monitor suspects without their knowledge, day or night . 10).Easily spot a fugitive hiding in thick foliage or under a vehicle . 1)Greatly enhances vision at night or in challenging dust and smoke conditions. 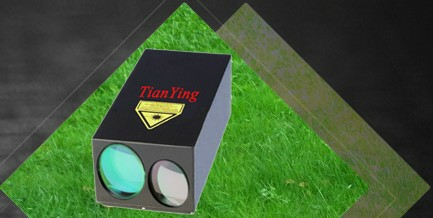 2)Operates with no light and without the blooming effect experienced by other night vision technologies. 3)Remain covert while still being able to see your target. 4)Saves money, time and lives with the ability to see quickly and operate more efficiently and safely. Machine guns are classified as light, medium, or heavy. Classifications are determined by a combination of weapon caliber, weapon system weight, crew size, and the primary type of intended target. 1.The light machine gun (LMG) classification generally includes .22 to .250 caliber (5.45mm to 6mm) automatic weapons. An LMG typically weighs between 15 and 30 pounds, complete. An LMG is normally manned by a crew of one or two individuals depending on the accessories being used. Neither a tripod nor a spare barrel is normally used with an LMG when it is manned by a single individual. They are optimally employed against exposed and lightly protected personnel at ranges less than 1,000 meters. Example: 5.56mm M249 Squad Automatic Weapon. 2.The medium machine gun (MMG) classification generally includes .264 to .33 caliber (6.5mm to 8mm) automatic weapons. Typical MMG weights are 25 pounds or more when loaded with 50 rounds of ammunition. Remaining ammunition, ground tripod, spare barrel, and other accessories can add another 25 pounds or more to the overall weight of MMG systems. The MMG is generally employed by a crew of three. Optimally, they are employed against personnel and light materials ( e.g., motor vehicles) at ranges of 1500 meters or less. Examples: 7.62mm M60, M240B, and M240G machine guns. 3.The heavy machine gun (HMG) classification generally includes .50 caliber or larger (12.7mm to 15mm) automatic weapons. The system weight of a heavy machine gun is substantial. In a ready to fire configuration using a ground tripod, an HMG without ammunition can weigh more than 125 pounds. An HMG is normally manned by a crew of four or more personnel (although a crew of three may be sufficient if motor vehicles or draft animals are employed for transportation over distance). HMGs are primarily employed against field fortifications, vehicles, and aircraft. They are generally effective against these types of targets at ranges of 1,000 meters or greater. Examples: .50 caliber Browning M2HB machine gun and the 40mm MK 19 MOD 3 grenade machine gun.